Lynette Bell | HOPE Global Forums | Presented by Operation HOPE, Inc.
Lynette has over 20 years having worked for SunTrust Bank in Florida prior to relocating to Atlanta. Lynette’s banking experience includes operations, regulatory affairs, bank examinations, mergers and acquisition, internal control, compliance, and she has traveled on behalf of the bank throughout the southeastern region of the United States to help enhance the economic empowerment landscape in local communities. Her community service is extensive as she is considered a civic, community leader for various nonprofits and philanthropic organizations. Lynette is considered an expert in the community development arena and prides herself on serving underserved communities in Atlanta. 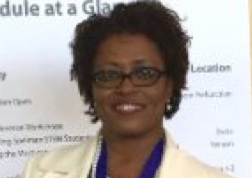 Lynette has a degree from Florida State University and is a member of Delta Sigma Theta Sorority Inc.